At the beginning of the 1650s, wrecked by plague and civil war, England was in ruins. Yet shimmering on the horizon was a vision of paradise called Willoughbyland. When Sir Walter Raleigh set out to South America to find the legendary city of El Dorado, he paved the way for an endless series of adventurers who would struggle against the harsh reality of South America’s wild jungles. Six decades later, when a group of English gentlemen expelled from England chose to establish a new colony there, they named the settlement in honor of its founder—Sir Francis Willoughby. 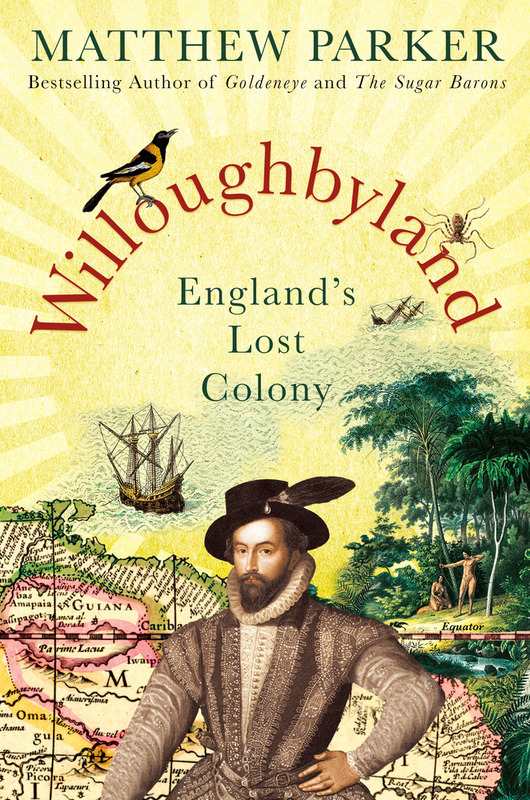 Located in the lush landscape between the Amazon and Orinoco rivers, in what is now Suriname, Willougbyland experienced one of colonialism’s most spectacular rises. But as planters and traders followed explorers, and mercenaries and soldiers followed political dissidents, the one-time paradise became a place of terror and cruelty, of sugar and slavery. A microcosm of the history of empire, this is the hitherto untold story of that fateful colony. MATTHEW PARKER spent part of his childhood in the West Indies. He has written for many national newspapers in the UK, contributed to numerous TV and radio programs, and lectured around the world. His bestselling and critically-acclaimed books include Monte Cassino, Panama Fever, The Sugar Barons, and Goldeneye, examining the importance of Jamaica in Ian Fleming's James Bond novels.